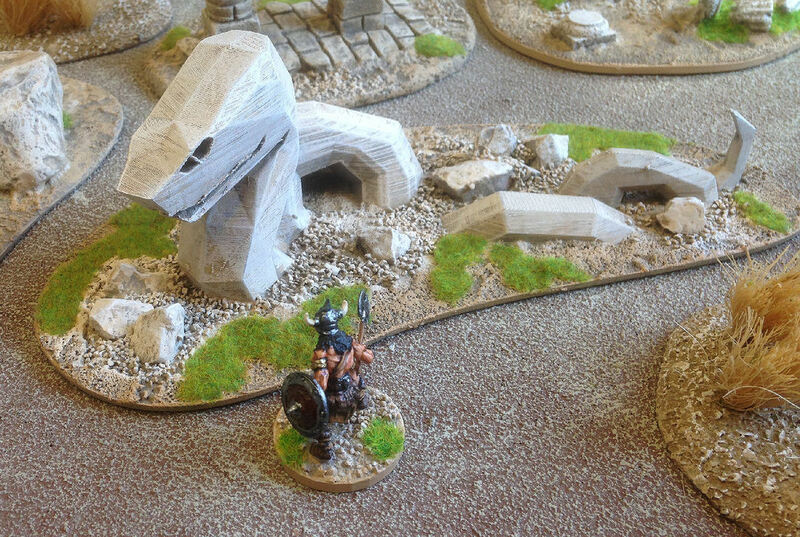 Here's where I'm going to show off my fantasy miniatures. 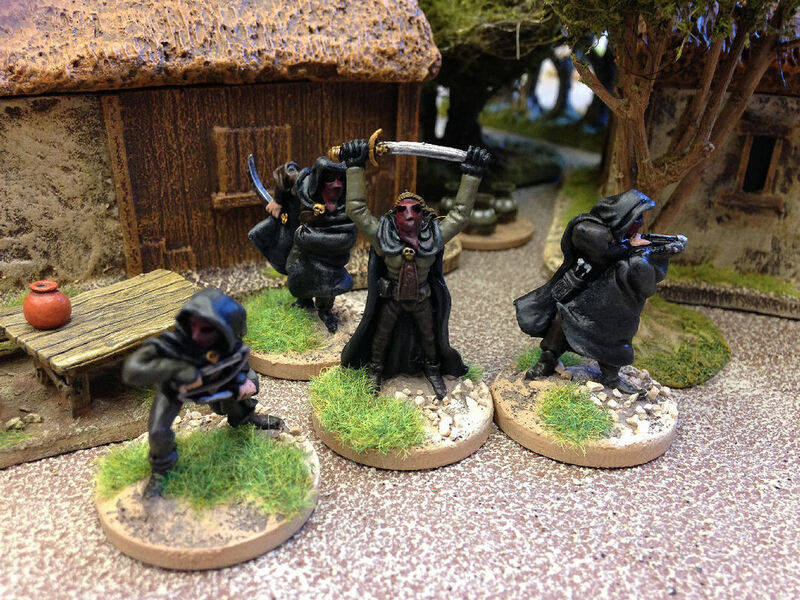 Most of these are new and are for use in my on-going Black Hack FPG, the Chronicles of the Latter Days of Yarth. 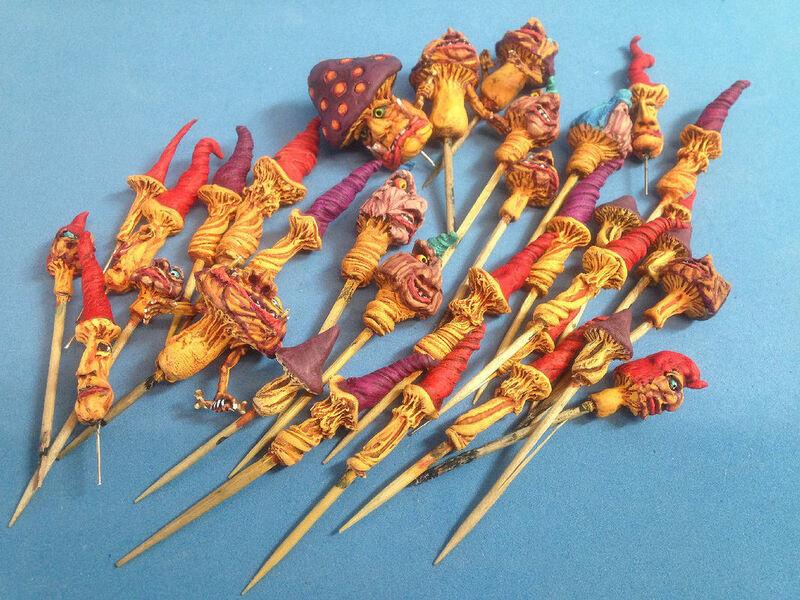 I haven't painted many (any) fantasy miniatures for a long time so this first lot were bought in bulk from Alternative Armies and then sent of to Arthur at EZPainter to get them ready for the tabletop quickly. 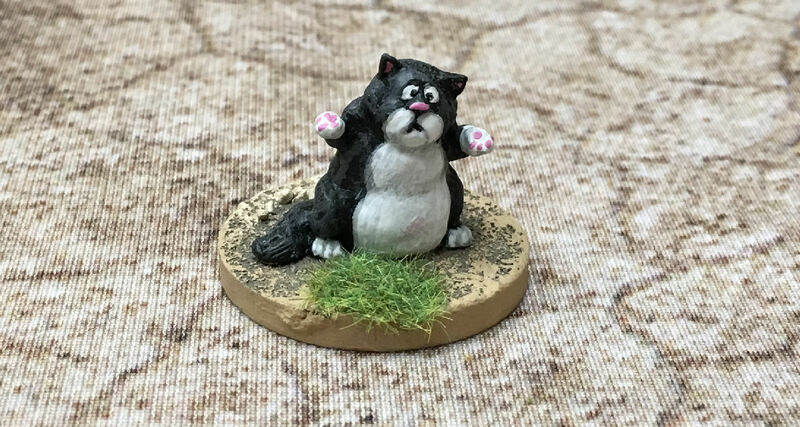 EZPainter prices are very reasonable and Arthur is very fast. 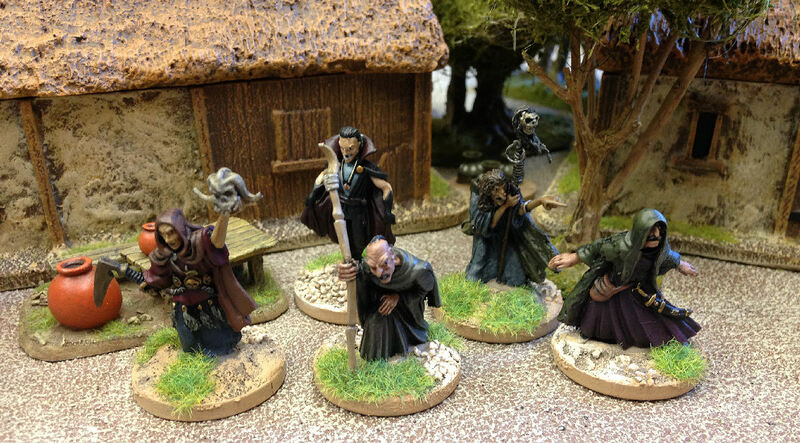 There's 41 miniatures here and he took less than two weeks to finish them. 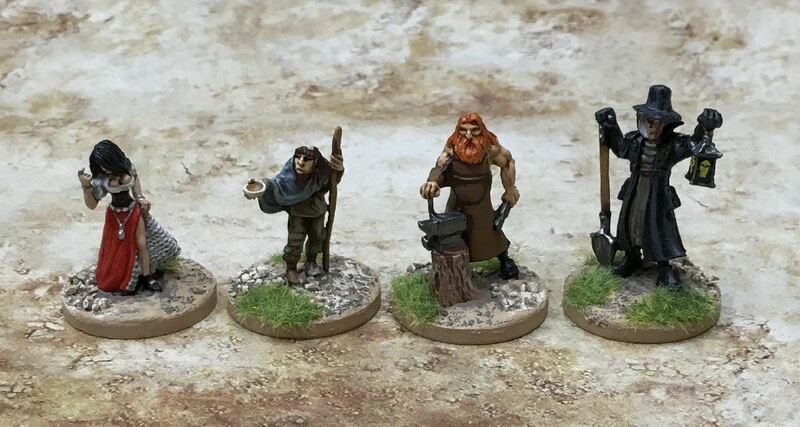 My campaign doesn't actually have hobbits or dwarves in it (or elves come to that) but I fancied having a complete generic set of RPG miniatures. 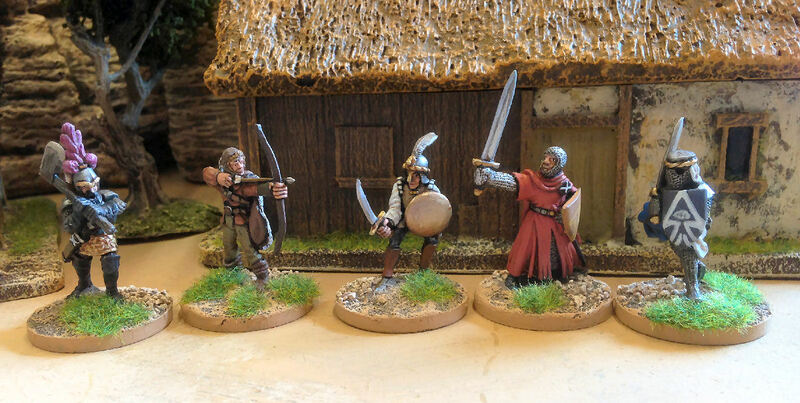 Another (final) batch of Alternative Armies miniatures painted to match the previous set by Arthur at EZPainter. 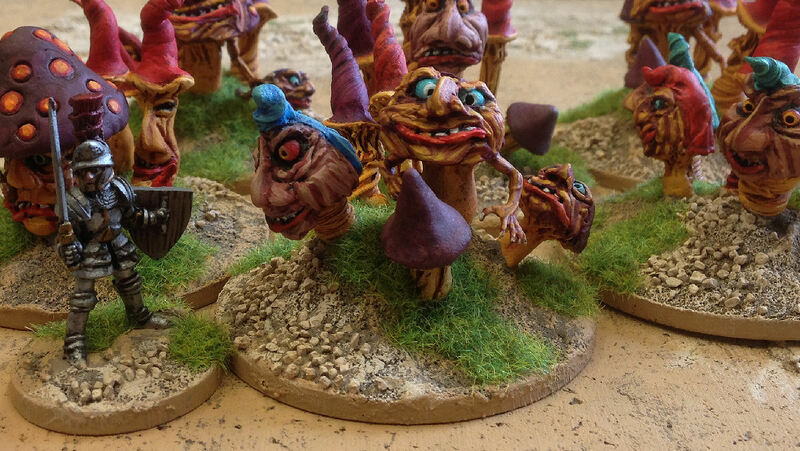 A band of GW goblins I bought painted off eBay (rebased by me). 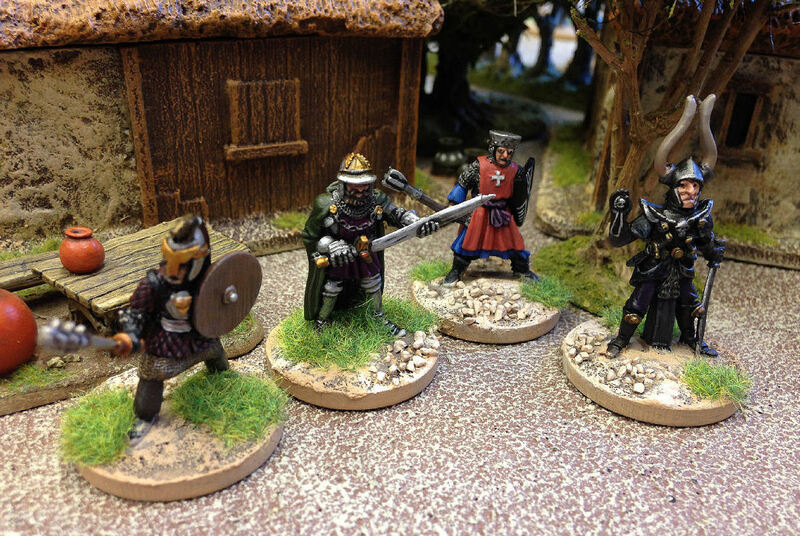 Some excellent Claymore Castings medieval French that I bought off Keith Hunt who painted them. 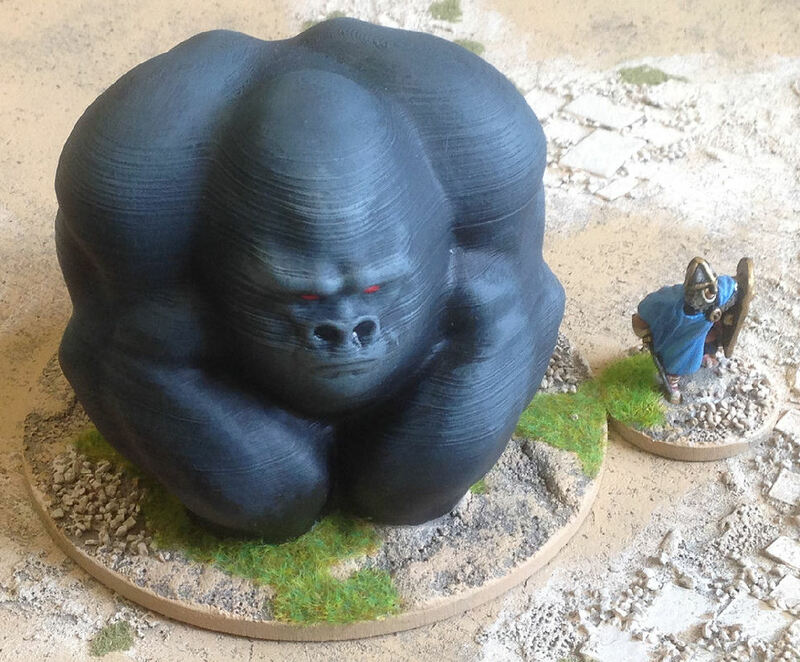 They'll make excellent town guards or hirelings. 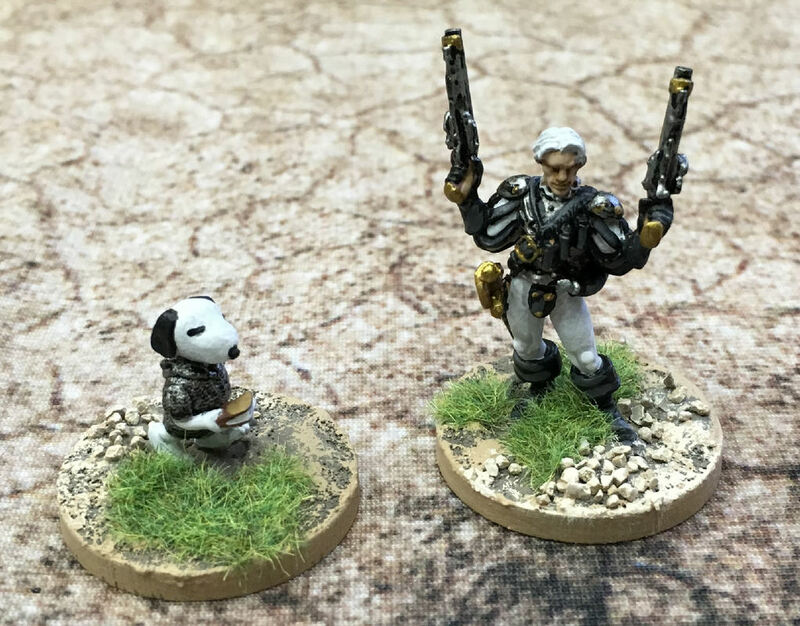 A Denizen miniatures Snoopy and a GW miniature I bought to be Luther Arkwright. 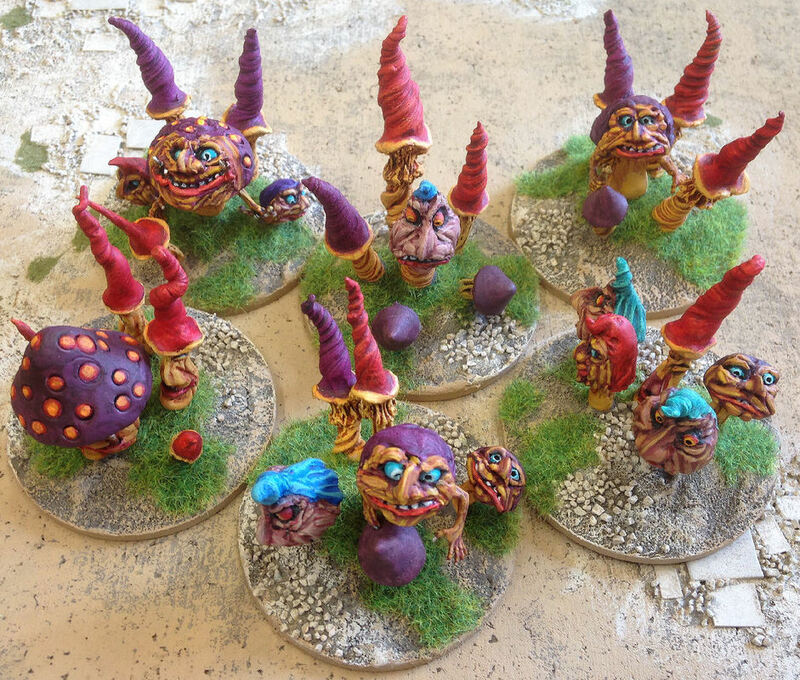 These ones were painted by me. 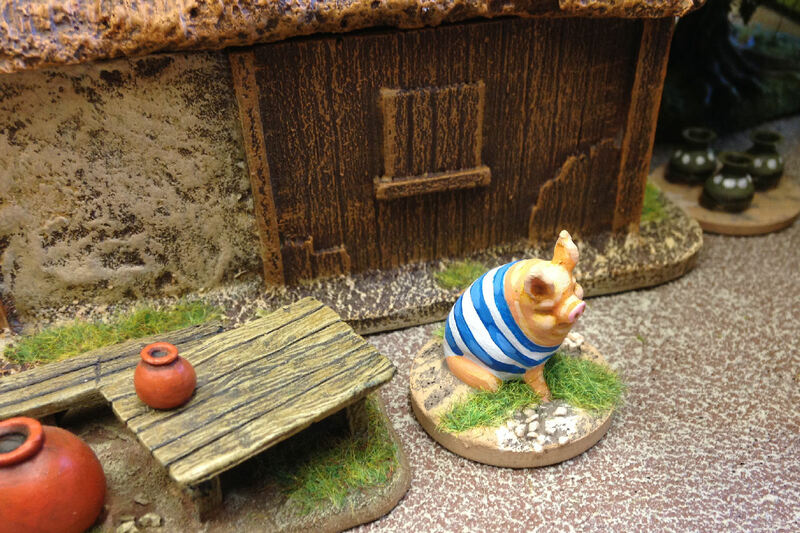 ​Poogie from Monster Hunter, a 3D printed pig available in my shop. 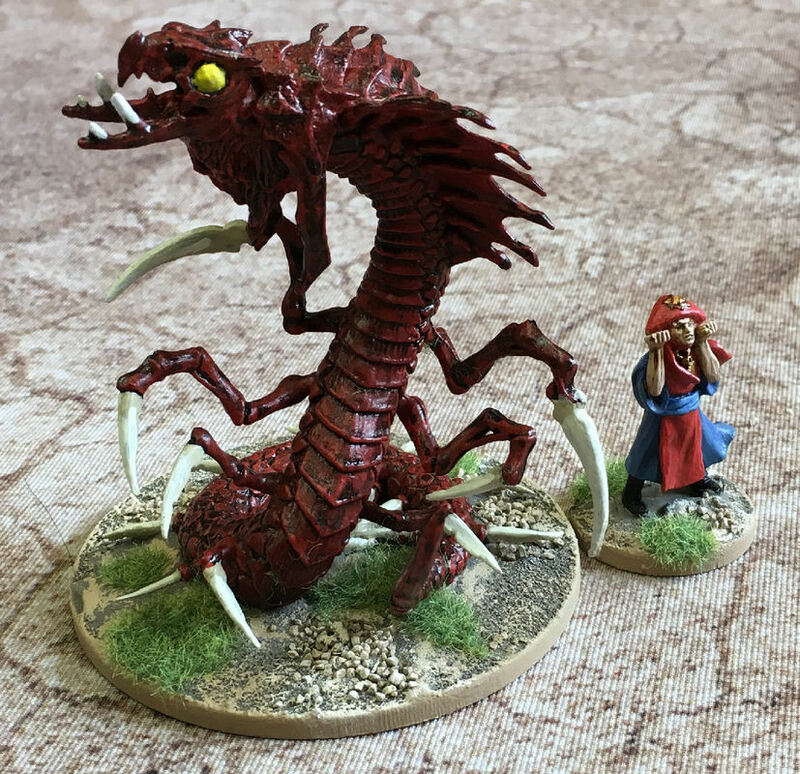 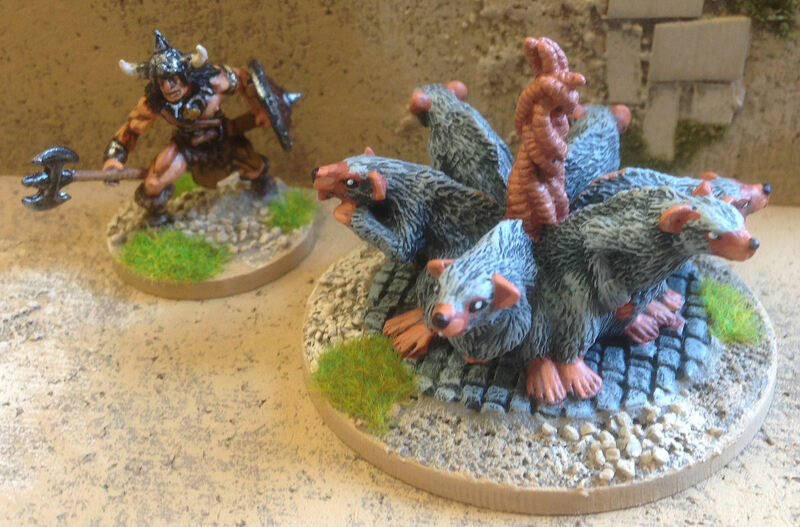 A Rat King from Fenris Games. 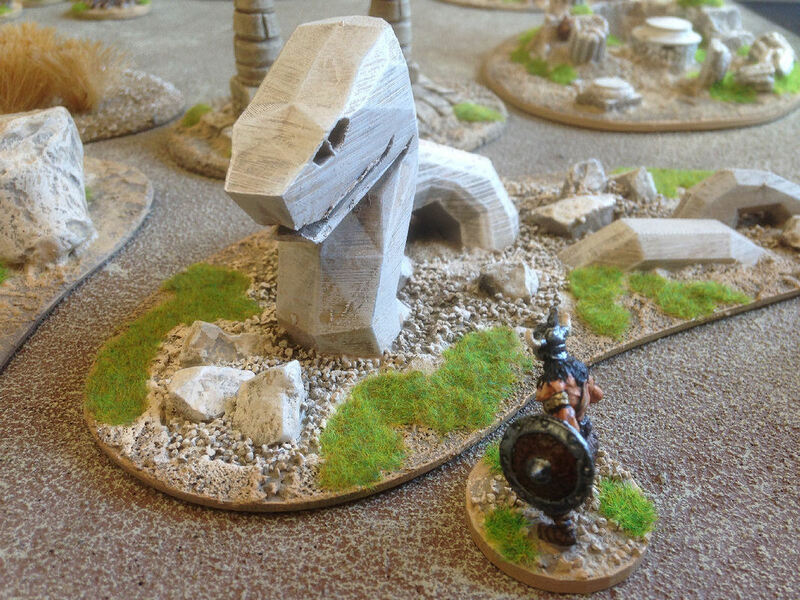 A 3D printed rock snake. 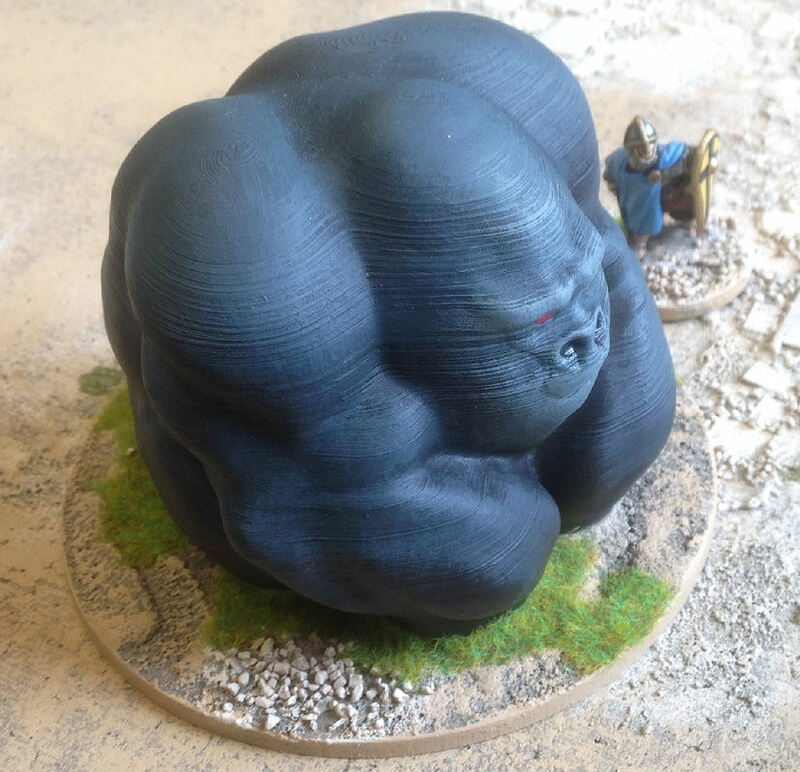 A 3D printed giant gorilla. 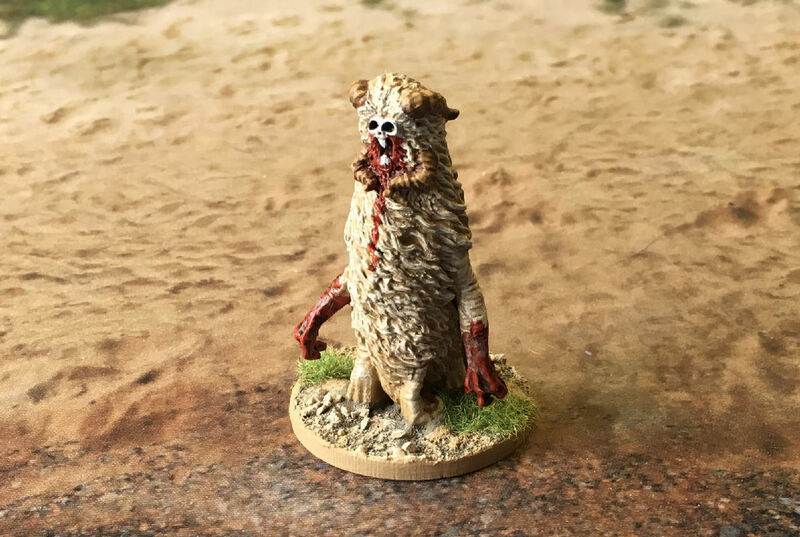 Knuum Gar, ancient spirit guardian of Knuum. 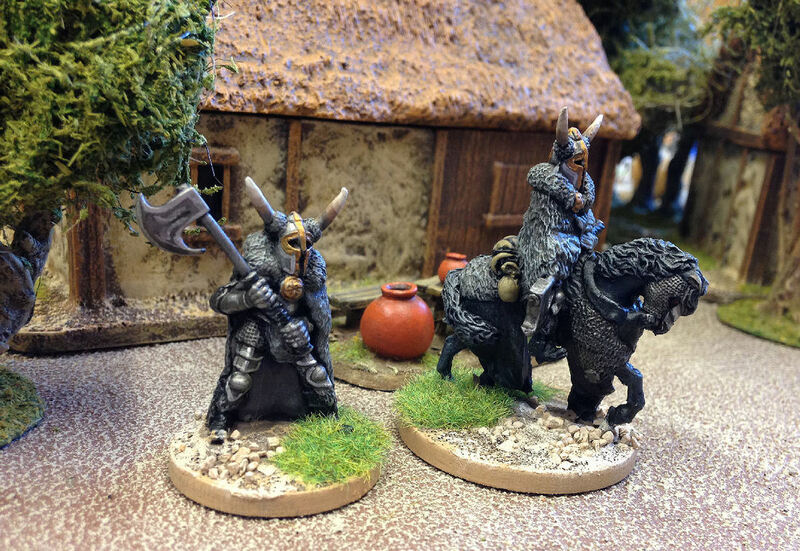 Two reaper miniatures flanking a Bronze Age Miniature. 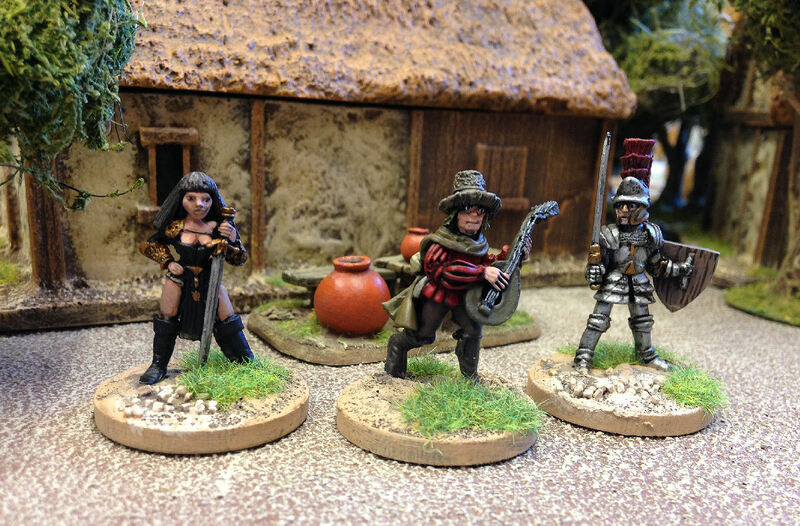 The wizard and the warrior woman have been sitting half painted on my table for several years. 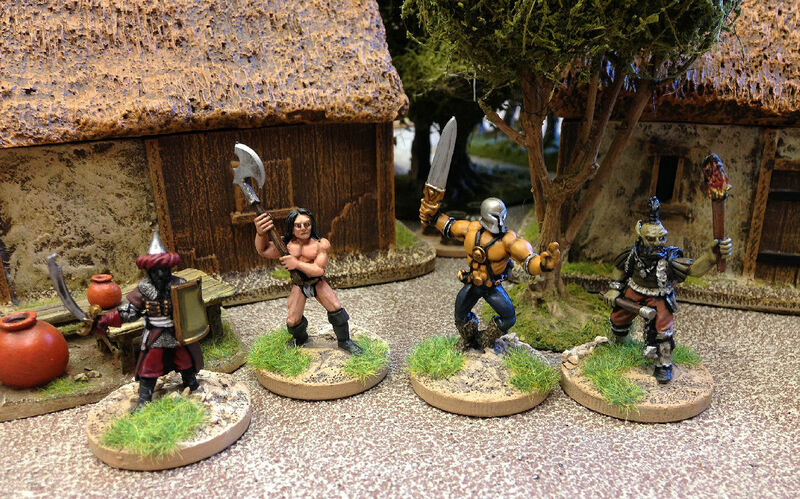 The barbarian has been unpainted for even longer. 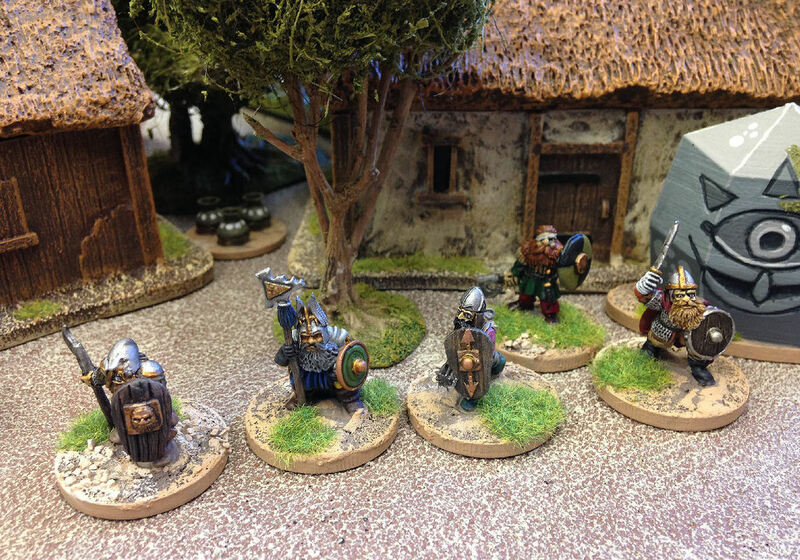 Some 'vintage' Chronicle miniatures. 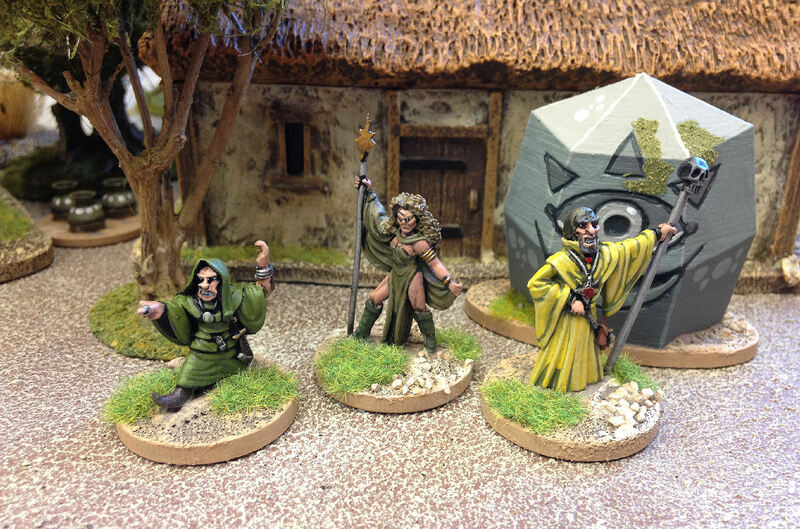 The two on the left, Borin the Undiminished and Havoc the Dog were bought off eBay last year as part of a job lot. 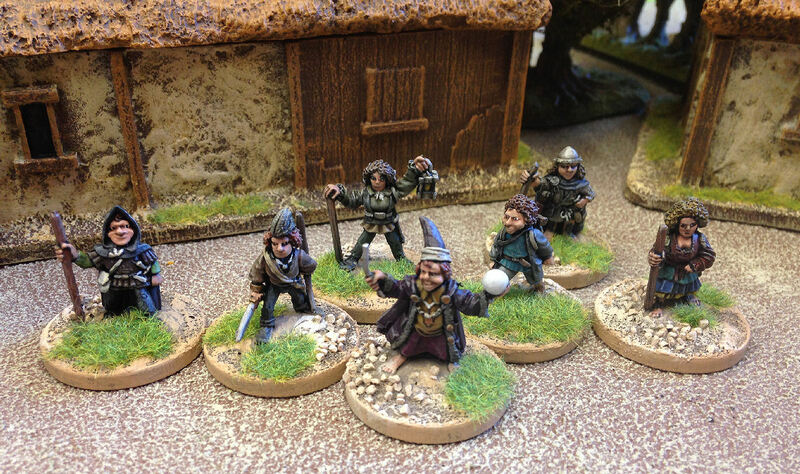 The two on the right, Troll and Beggar are repaints from the drawers of old miniatures. 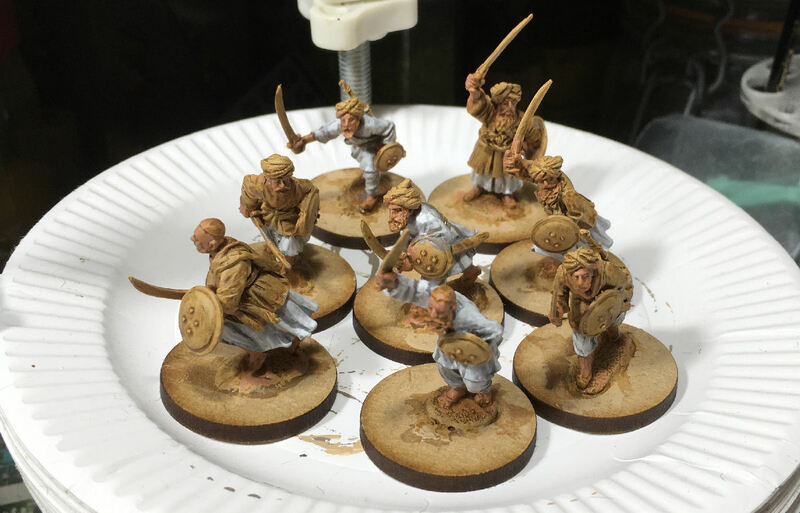 My first painted miniatures of 2018 (apart from some scenery pieces). 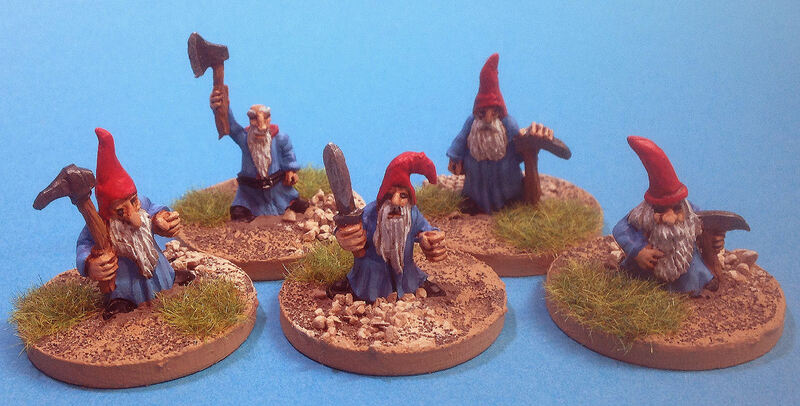 These little chaps are a set of Gnomes from Krakon Games. 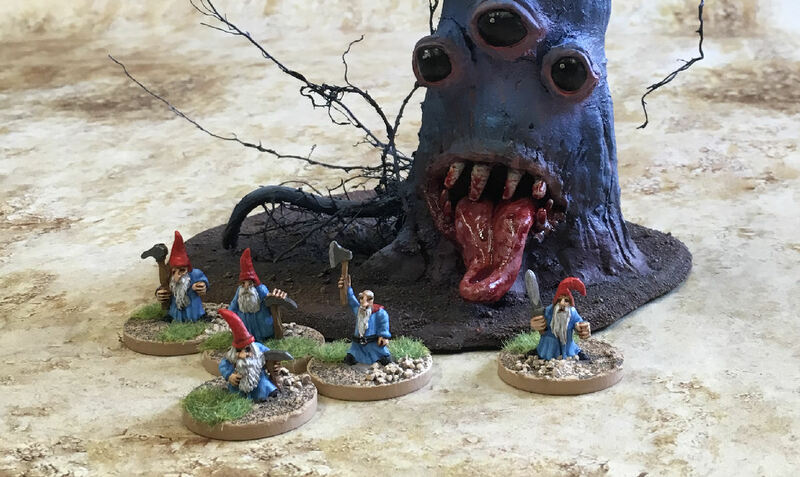 More gnomes from a second Kickstarter. 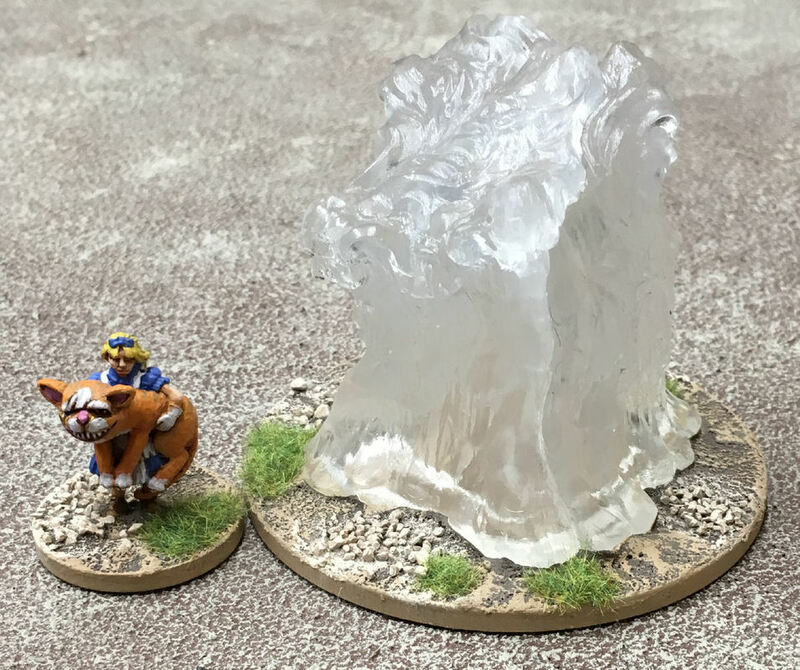 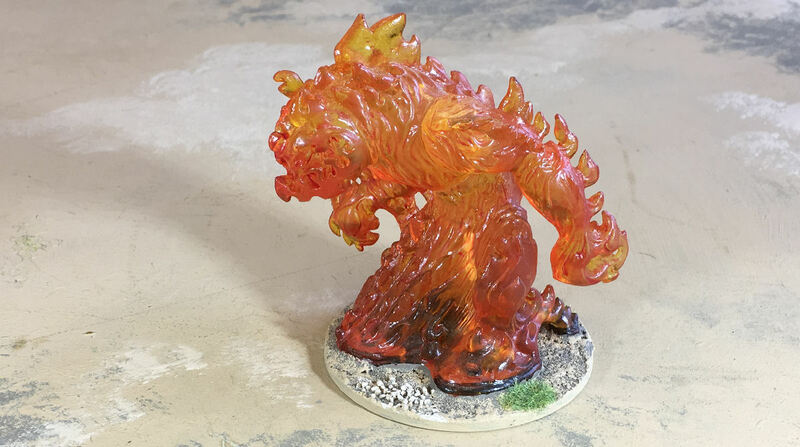 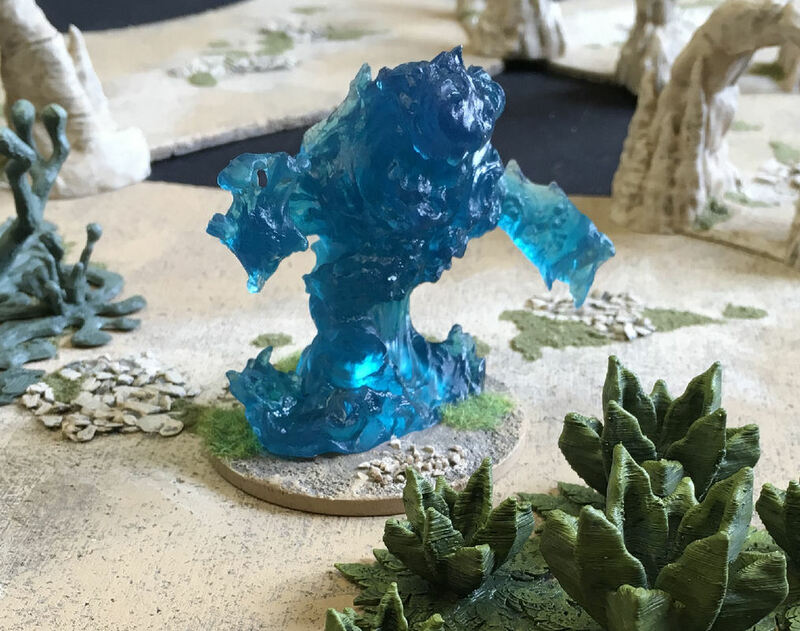 A Reaper gelatinous cube made from clear plastic on an 80mm base. 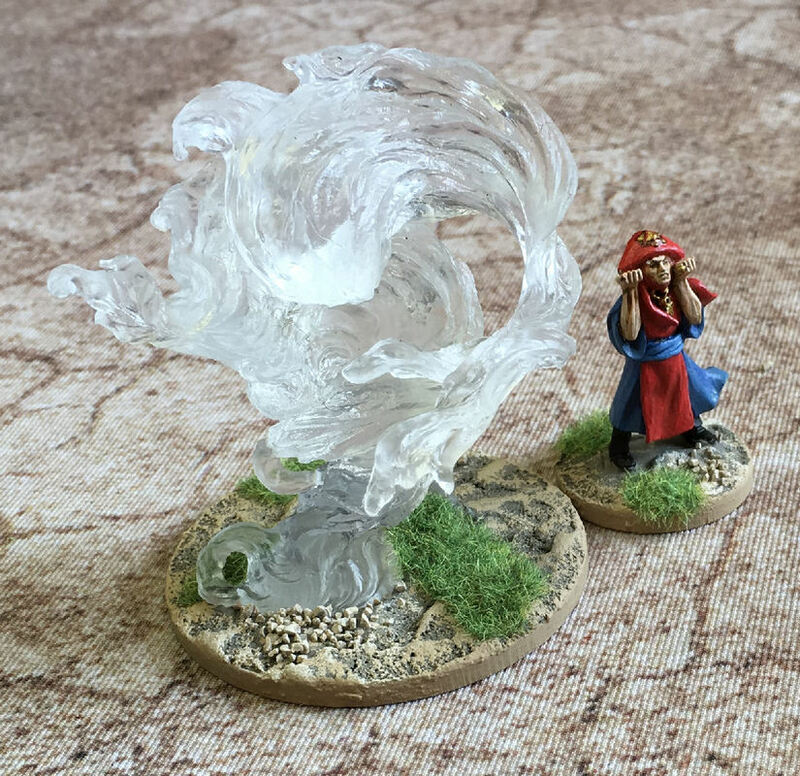 Alice is from Westwind Productions. 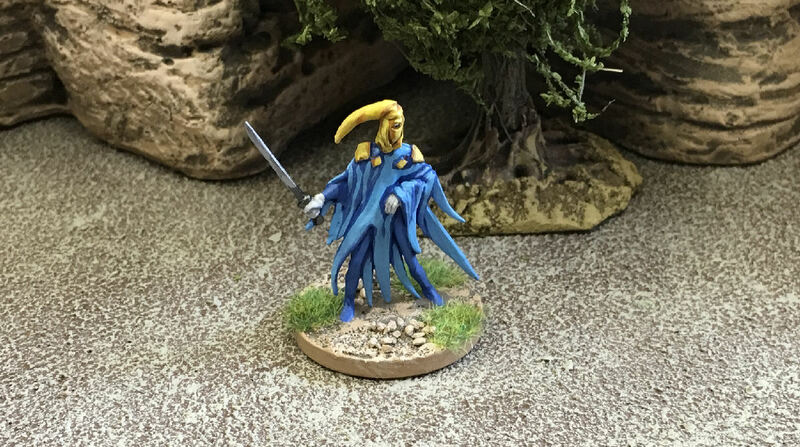 The Yellow Sock, a Reaper miniature. 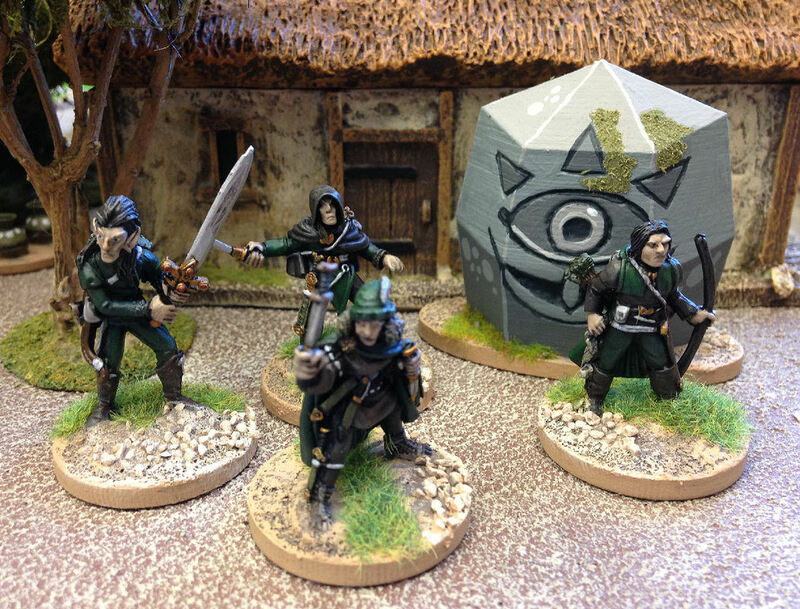 Some Black Tree Design Fish Men. 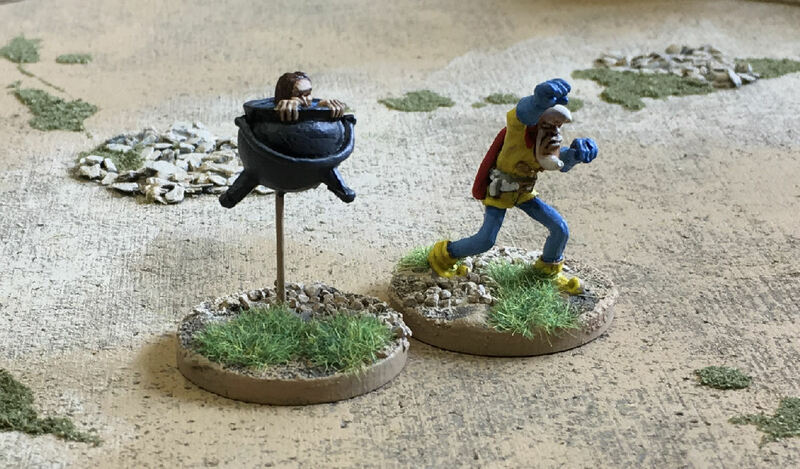 The Moon Man and the Boy in the Cauldron.